Telecom network gearmaker Nokia is riding on the renewed vigour among service providers in the wake of 5G technology launch in the country. The company, that offers end-to-end solutions to telecom and internet service providers, has observed nine consecutive quarters of growth in December 2018, said Sanjay Malik, senior vice-president and head of Nokia Solutions and Networks India. The ongoing consolidation in the telecom services space has weeded out a large number of players like Aircel, Reliance Communications, and Telenor. However, Malik says, a wide range of products and solutions helped Nokia grow its business. Nokia’s diverse portfolio that includes solutions for mobility services, beyond mobility services like internet protocol (IP), optics and fixed network solutions, solutions for internet service providers, and cable operators have aided its growth here in recent quarters. Nokia is currently the largest player in long-term evolution (LTE), voice over LTE (VoLTE), and optics market in India and the second-largest player in the IP segment, Malik said. Service providers continue to upgrade their networks and augment capacity ahead of the upcoming launch of 5G telecom services and surging mobile data consumption. Nokia — working with all existing telecom players in the country — is witnessing an urge among players to prepare their networks with 5G technology in advance. Further, the ongoing consolidation has opened up new business vistas. “It is always better to have a few stronger players rather than fringe players. After this consolidation, the existing players will be able to offer better network and services, and will be better equipped to adapt to newer technologies. Maybe the consolidation happened earlier than it was expected, but it is good for the market,” Malik said. Moreover, the entry of telecom players into other business areas such as direct-to-home, wired internet broadband, enterprise services to data-driven sectors like banking and business process outsourcing, building and expansion of cloud networks, and self-organising networks have opened up new frontiers for business in India. “The ecosystem of network infrastructure would be crucial for 5G services. All operators are upgrading their infrastructure with the upcoming 5G technology in their minds. And most new radios are now 5G-ready,” he added. 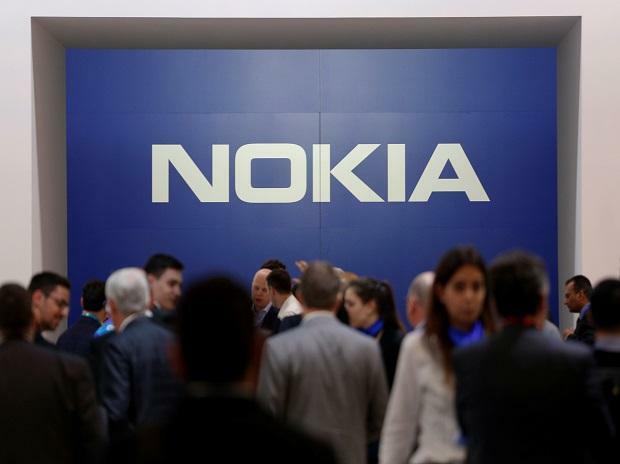 Nokia, that has already begun manufacturing of 5G equipment at its Chennai plant, is also readying for exporting the products to several key markets like the US. Currently, it exports equipment to over 25 countries from India. While Malik expects the commercial launch of 5G services to begin from early 2020, the firm is now gearing up for 5G trial runs in the second half of the year. It has already set up a lab to test India-specific alterations. While, initial work at the test case basis has already been initiated by several industry players, Nokia sees further growth opportunities in the industrial manufacturing, health care, logistics, and education sectors, apart from the mobile broadband services market.